India’s IT and IT-enabled services sector (ITeS) made a humble beginning in the late 1960s with the foundation of the Tata Group in Mumbai. It was not until 1973 that the country got its first special economic zone for software exporters. The early 1990s saw the groundbreaking economic liberalization in India, which helped open doors to new opportunities for Indian IT companies. Between 1991 and 1996, the Indian IT industry more than doubled its annual growth rate and by the early 2000s, the country successfully established itself as one of the world’s top sourcing destinations for IT services. Over the years, India’s information technology sector has grown into a $150 billion industry that contributes to around 7.7 percent of the country’s GDP and creates 3.7 million direct jobs and another 10 million indirect jobs. So what does the future hold for India’s IT sector? Will job opportunities continue to grow? Or, will there be job cuts due to automation and other inevitable changes within the industry? Let’s find out. Availability of a highly skilled talent pool, competitive cost of business operations, favorable government policies and fast developing urban infrastructure have helped the Indian IT industry to grow from strength to strength over the past few decades. However, critics say the sector has always been more dependent on exports and less on the domestic market. Thankfully, a change has already begun with the current government’s ‘digital India’ push, as part of which they are planning to pump an estimated $1trillion into technology investments by 2024, up from $270 billion now. Also, IT jobs, which were once confined to cities like Bangalore, Delhi and Mumbai, are now available across India, even in Tier-II cities. This is definitely a good sign for the IT job market. Here are some facts and statistics that paint a positive picture of the Indian IT market. Indian IT market is likely to triple its size to become a $ 350 billion industry by 2025. India’s software product market currently generates annual revenues of $7 billion. Interestingly, total revenue from domestic market ($4.8 billion) has recently surpassed revenue from software exports ($2.3 billion). India’s overall IT and ITeS industry, comprising software products, hardware products, IT services, and Business Process Management, is growing at 8.5 percent per annum. The country’s B2B and B2C ecommerce markets are likely to reach respectively $700 billion and $102 billion by 2020. Employment prospects are broadly positive and encouraging. 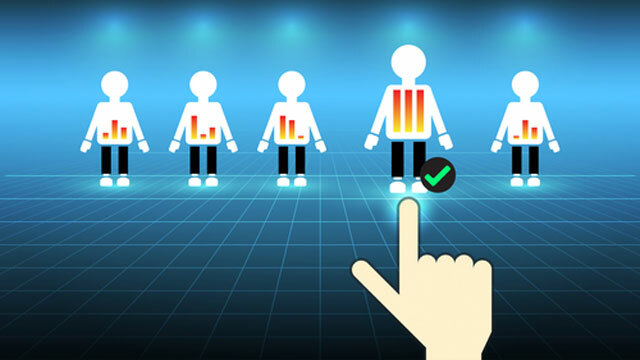 NASSCOM predicts that the industry will create around three million new jobs by 2025. The Indian government has set up around 56 STPI (Software Technology Park of India) centers across the country. These centers generate around 50 percent of all the IT jobs in India. Interestingly, 48 out of the 58 centers operate out of Tier-II and Tier-III cities. Jobs are also available in the hardware sector. Almost all leading computer and mobile device manufacturing companies are expanding operations in India. Together, they created more than one lakh direct and three lakh indirect jobs in the past two years. The rapid growth of the Indian startup ecosystem is another promising trend to look out for. According to NASSCOM, more than 4,750 ecommerce and technology startups generate 100,000 IT jobs in India every year. Another report predicts around 15 percent growth in hiring activities in technology startups over the next few years. The Indian IT sector is fast adopting new technologies, such as the Internet of Things, AI, data analytics and cloud computing. Automation within the industry could make the middle layers of management superfluous in some companies, but the industry will see an overall increase in job creation due to rapid digitization in every business sector, say experts. This means IT job seekers and professionals should continually update their skills, so that they can stay relevant in the job market. The good news is there are ample opportunities for the right candidates.